The capital of Rajasthan, Jaipur is one of the most beautiful tourist places in India. Founded in 1727, the city is named after its founder Sawai Jai Singh. Jaipur is nicknamed the Pink City of India as it was painted pink to welcome the Prince of Wales in 1876. The city is known for its rich heritage, age-old art and craft, traditional Rajasthani cuisine, mouthwatering sweets, majestic architecture, regal beauty, and colorful fashion. The 10th most populated city in India, Jaipur is a must stopover in the ?Golden Triangle? tourist circuit including Delhi and Agra. Book cheap flight tickets to Jaipur from USA at IndianEagle. The tourist places to visit in Jaipur mostly include majestic forts and marvelous palaces like Amber Fort, Hawa Mahal, Jal Mahal, Rambagh Palace, City Palace, Nahargarh Fort and Jaigarh Fort. A rare fusion of Hindu and Islamic architecture, Amber Fort is a must visit in Jaipur. Rambagh Palace and City Palace bear a testimony to the opulence of the Rajput kings. Rambagh Palace is currently an exquisite heritage hotel, while City Palace is partially converted into a museum housing exclusive artifacts that depict the history and heritage of Jaipur. Among the tourist attractions in Jaipur, Hawa Mahal is the world?s largest structure without foundation, while Jal Mahal stands in the middle of Man Sagar Lake. The other best places to visit in Jaipur include Jantar Mantar, Albert Hall Museum, Abhaneri Step Well, Govind Devji Temple and Birla Mandir. No wonder why many cheap flights to Jaipur from USA are operated daily. IndianEagle books the cheapest flights to Jaipur, India. Jaipur is one of the best Indian tourist destinations where you can do many things in connection with sightseeing, food, shopping, and heritage exploration. The best things to do in Jaipur include watching puppet show, listening to traditional folk songs of Rajasthan, catching eyefuls of regal beauty at the palaces, taking a heritage walk or balloon ride, riding a horse-drawn carriage, and shopping for handcrafted items. Tasting the traditional food of Rajasthan is a must on the list of things to do in Jaipur. Jaipur International Airport is the main gateway to Rajasthan for flights from USA, Canada and other countries via New Delhi or Mumbai. 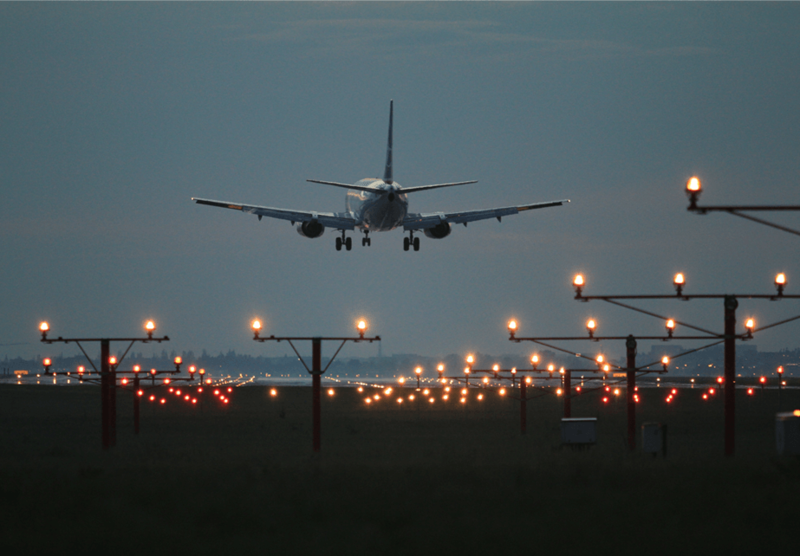 Being the only international airport in Rajasthan, it has good air connectivity with other Indian cities including Delhi, Mumbai, Kolkata, Hyderabad, Bengaluru, Chennai, Kochi, Indore, Pune, Bhubaneswar, Amritsar and Agra. Decorated with beautiful paintings of Rajasthan, Jaipur International Airport (JAI) has modern facilities and amenities at its terminals. Many airlines operate cheap flights from USA to Jaipur Airport via Delhi. We at IndianEagle book cheap Jaipur flights from most of the US cities. Traveling to Jaipur is easier than before as IndianEagle offers the lowest airfare deals for Jaipur flights from USA. October to March is the best time to visit Jaipur City. Pink City looks more colorful during festivals throughout the year. The calendar of Jaipur is full of events and festivals like Elephant Festival, Teej Festival, Jaipur Literature Fest, Gangaur Festival, Kite Flying, Diwali, Navratri, Dussehra and Holi, which make the city a must visit at any time of the year. July to September is the monsoon season when the city receives moderate rainfalls. Weather remains hot and dry in Jaipur from April to June, which is the right time for a trip to Mount Abu, Rajasthan?s only hill station. Don?t worry of when it is right to visit Jaipur. IndianEagle books cheap airline tickets to Jaipur on flights from USA throughout the year. Jaipur has good connection with other major tourist places in Rajasthan. Jaipur International Airport is the only primary destination for the airlines operating cheap flights to Rajasthan from the United States. IndianEagle issues discounted air tickets for flights to Jaipur from New York, Newark, Los Angeles, San Francisco, Dallas, Washington, Austin, Houston, and other cities in the USA. Booking last minute travel to Jaipur is no problem. Airlines? secret deals for cheap last-minute flights to Jaipur are available at IndianEagle. We also issue cheap business class tickets for Jaipur flights from USA.